I left Chicago before sunrise this morning. I took the photos above while driving (not one of my most brilliant ideas) near the Illinois/Indiana border. I don't remember what state it was. 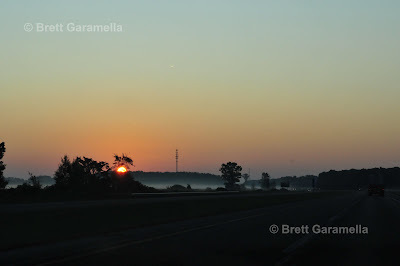 Anyhow, the Midwest, while flat, is very scenic around sunrise with the morning fog hovering above the boundless acres of flat farmland. I was lucky, I made it to Connecticut in one day without any traffic. 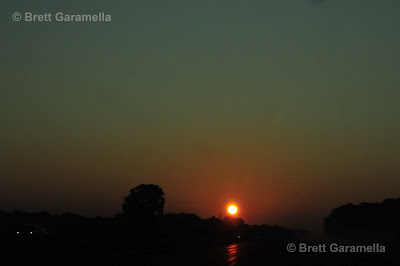 Getting up early does have its perks, especially for photographers and truck drivers.